There's no right/wrong answer. It's strictly a personal thing. For me, a bad commute is a deal-killer. I like my current employer, but I turned down a better opportunity in Cambridge (think Boston) years ago when I took this job in the suburbs. It wouldn't have been 4.5 hours of commuting a day but i would have been a solid 3. I had previously lived and worked worked in the 'suburbs with a 20-minute commute (1-way) and it spoiled me. I just couldn't imagine dealing with the grind of commuting into the city. But many people do it, obviously. I see them getting onto to the already packed highway at 6:30 AM when I occasionally go to the local Mini-mart for milk and I count my blessings. Had I been single, who knows. A condo closer to the city would have been an option. But a wife and kids complicates things. I'm typically out the door before 6:30 regardless because I go to the gym in the morning. That's one more thing that will be impacted if I do this. The only reason I am considering this is the money. And, the offer has to have a bonus target that takes the stress of paying for college for 1 of the kids away. I figure if I have to borrow for kid #2 the first 2 years while kid #1 finishes, and then I stay in teh role a little longer to pay it all off, that's what I do. But, the only reason I would do this is money. There is no other valid reason. And, like I said, I can use some of that commuting time to work and make use of it. I generally don't work on the train now but I did this I would have to. It's not optimal, which is why I won't be crushed if I don't get it. Also, an exec title opens doors. I can use that to go elsewhere or even take another job here. We'll see. I don't have it yet. I may not get it, either. A consideration of the family time potentially missed away in Manhattan, increased demands, etc. All important aspects in this large consideration. No more slipping out of the office for a school event or to see the sons in an athletic or other after-school events with the time commitment and commute. Not trying to dissuade you but throwing out the family issues too. They are only with you for a short period of time and then gone. Good luck with this, it is a big decision should the offer be made and you know what happens if you turn down an offer. The family impact is a big consideration. Like I said - the driver here is paying for college. Otherwise I wouldn't consider this. Blue&White wrote: Also, an exec title opens doors. I can use that to go elsewhere or even take another job here. We'll see. I don't have it yet. I may not get it, either. This is the big factor in favor of the possible promotion. I won’t presume to tell you what to do as I am sure you are weighing the pros and cons. You know that happiness and family have no pricetag, but we all need to look beyond tomorrow or next week or next year sometimes. I hope you get the offer, but it is a difficult decision. I am sure you will be fine either way as you seem to have a good head on your shoulders. Thanks for asking. I never actually said Florida, you guys just assumed. It's a bit north of there but in a pretty cool area very close to Savannah. I flew down and interviewed three weeks ago yesterday. The other two finalists (they told me) were being brought in the following Tuesday. This Monday they called and offered me the job. The whole thing is a big deal, a personal relationship, a move of 600 miles and my 81 year old mother (who is still very active right now) without any family closer than 3 hours away. I'll be about 10. It's just that I'm at the age where if I'm ever going to do something bold it needs to be pretty soon. The job is just so intriguing to me and seems to be something I'd really excel in. It's both incredibly exciting and equally terrifying as I really won't know anyone there. We talked again today on the phone and they agreed with all of my requests in the employment package. I need to decide and sign by close of business on Monday. A lot of drama right now but I'm going to try and make the best decision for ME. I'll let you know how it all works out. As for you, I unfortunately never had children but man, that's a LOT of commute time. Is it really worth it? You can't get time back. Go for it Shore!! Good luck deciding Bdub! It will all work out in the end. It's just that I'm at the age where if I'm ever going to do something bold it needs to be pretty soon. Years ago, I worked with a younger/single guy who had a job offer in SoCal and was nervous about the radical change. I encouraged him to go for it while he still could. If it ends up being a mistake, at least you know. And it's not like your life will be over. If you don't go, you'll never know if you missed out on something. It worked out well for him. He's still there and we exchange emails occasionally. He was really excited when the Dodgers won the pennant (he's a Red Sox fan) and he mailed me a pic last week from Dodger Stadium. I agree with dad. You have to take that job. You always regret the things you did not do more than the things you did. As for my opportunity and the commute - we will see what happens. The reality is most nights I work until 7 anyway. If I get home a little later and add work time to the train commute, it won't be that bad. I'm also convinced that having to commute to NYC will be temporary. Things have a way of working out. Step 1 is getting offered the job. I don't know that is even going to happen yet. This entire discussion may be rendered moot very quickly. But, my boss thinks I am going to get it. I spent some time talking to him end of day yesterday on what had gone on during the week and I told him I had the interview this coming Monday. He's not happy about the possibility of me moving on and told me if I got the job he needs me to stay long enough to ensure my current plate of deals are all completed (which will take me into January). I told him I had no intention of leaving him in the lurch and would make sure there was a smooth transition. The problem is he doesn't think there is anyone on my team who is ready to take my spot. I told him right now this is, best case, a 50-50 proposition and not to stress until there is something to stress about. GMay - glad things worked out the way it sounds like you wanted them to. It's a really great thing you and your wife did. You can tell a lot about people about how they react when someone needs help. You're a good person. You did a really good thing and I bet it made a real difference in the life of that kid. 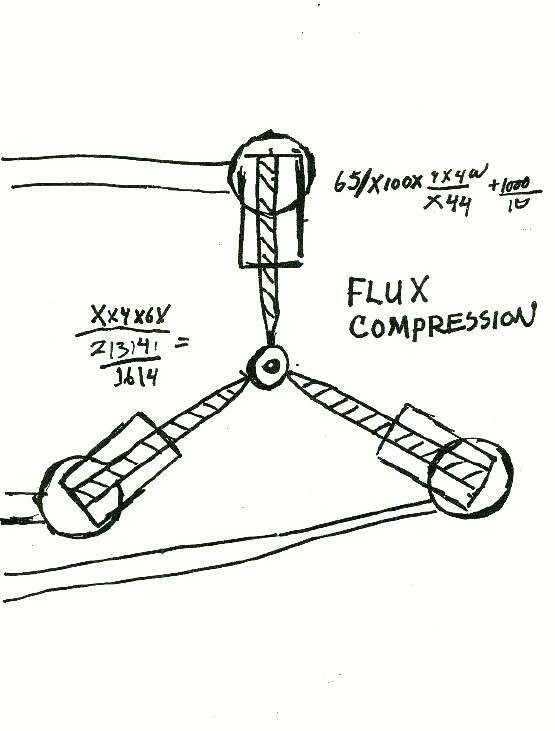 Today is a banner day in science, the day the Flux Capacitor was invented. It's been 30 years since Doc Brown invented time travel and made it an everyday event. I travel in time every day now (just forward, and at 1 second increments).